This year my husband’s mentor sent us some holiday treats! Christmas mugs for everyone, lots of snacks, hot chocolate and chocolate. The kids were very pleased with their Christmas mugs – one a snowman and the other a Santa Claus and have used it everyday since. 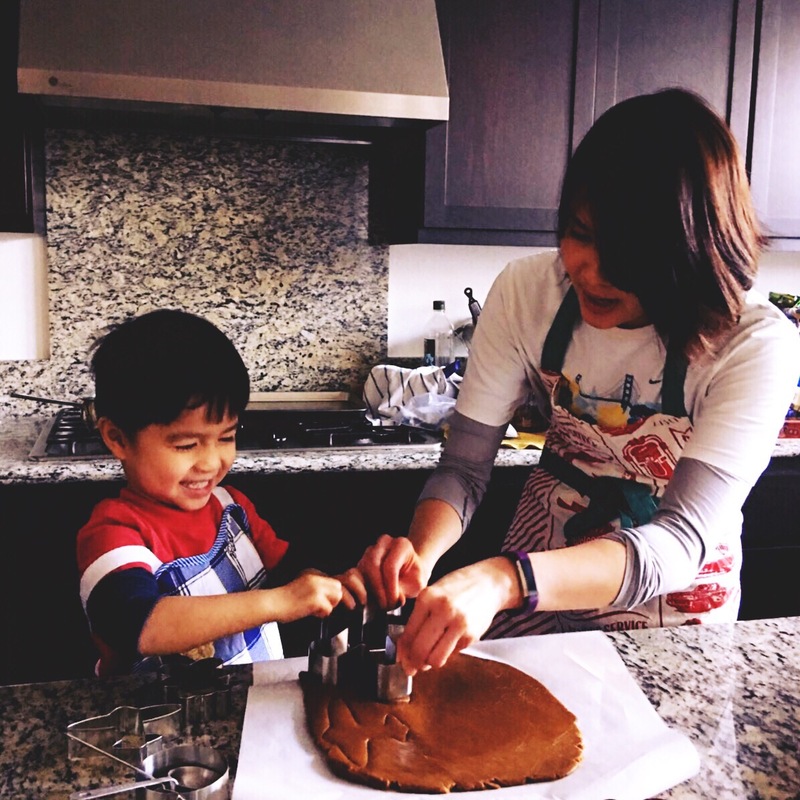 One thing we make sure we do every year is make Christmas cookies. 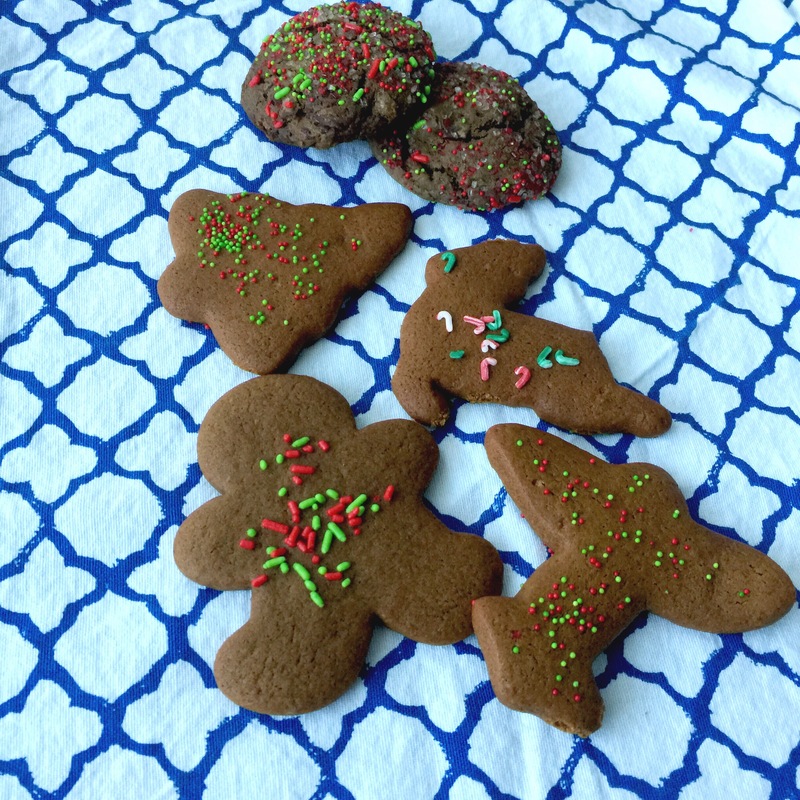 Last year we went for butter cookies with icing but this year, I wanted to try this gingerbread cookie recipe from King Arthur Flour which was just perfect. It had the right amount of spice (although I added an extra bit more of ginger) and such a great texture – a little bit crisp and a little bit chewy. And I love reading Christmas-themed picture books with the kids! 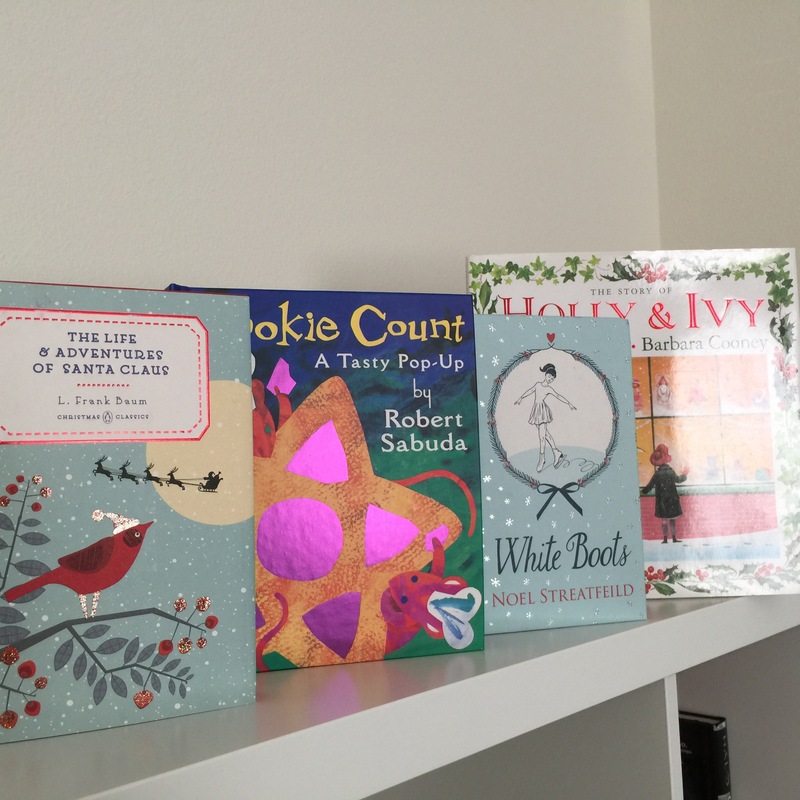 I wrote about Christmas books with the kids too! I don’t think I’ve seen any of yours, though. I will have to keep an eye out at our library!